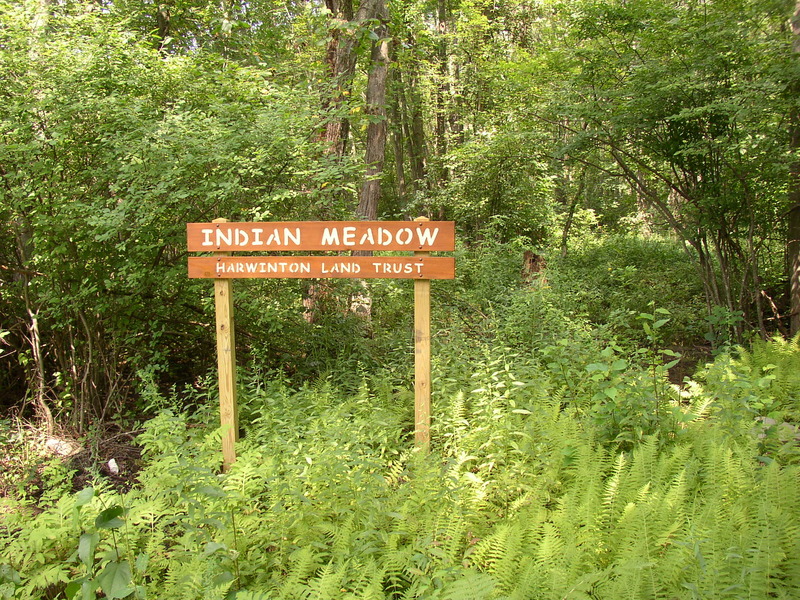 Indian Meadow is 34 acres in size. It was donated to the Trust in 1987 as part of the development of new homes on White Oak Drive. It is an elongated parcel that lies between White Oak Drive and Woodchuck Lane. The property adds to a long wildlife corridor from New Hartford to Bristol. 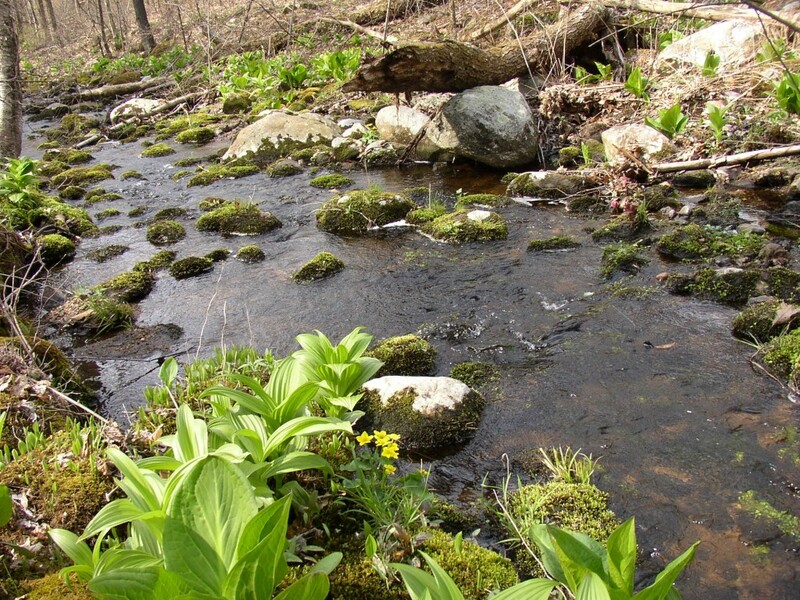 It also protects the East Branch of Rock Brook, which supports native brook trout, a species of special concern. The property has boundaries that touch RT 4 (Burlington Road) and White Oak Drive. Better access from both roads is currently being developed (see Indian Meadow parking location). Access from White Oak Dr. will be ready for easy public use when roadside steps are completed summer 2019. A parking area on RT 4 is also being considered, depending upon the area’s level of public use. It is currently being used for property maintenance purposes only. 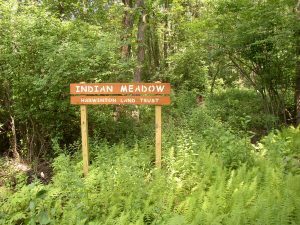 A trail system (close to 2-miles back and forth) has been cleared and marked by colored blazers Indian Meadow Printable Map. 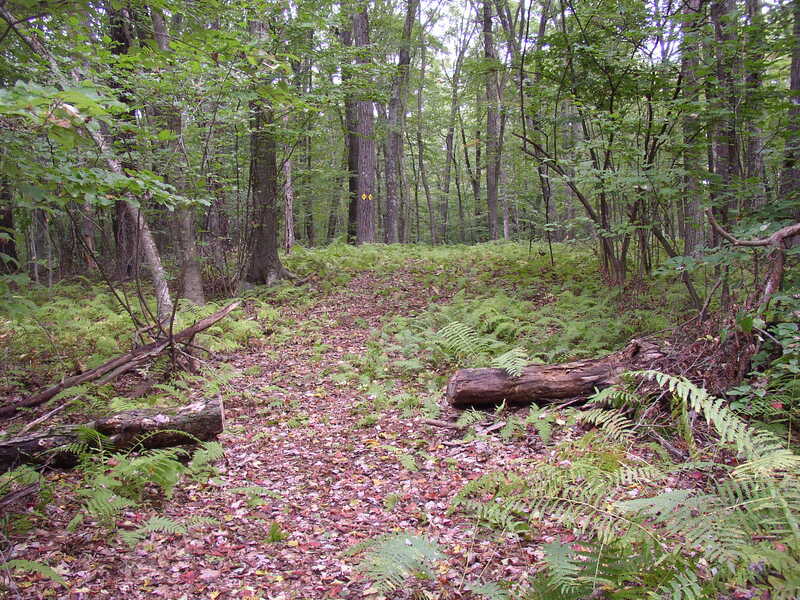 A short red-blazed trail leads in from White Oak Dr. (look for the land trust’s Wildlife Protection Area sign) to the juncture of the longer white and yellow trails. The white trail goes to a pollinator meadow (managed for butterflies and honey bees) next to RT 4. The yellow trail has a return loop. Walking is on fairly level ground. 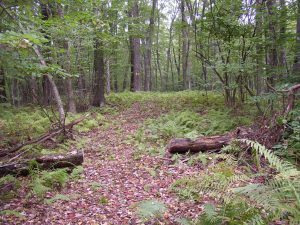 Eleven footbridges and boardwalks have been constructed along the trail system, providing dry hiking through an open mature forest with plenty of nice views. The Thomaston Savings Bank Foundation in 2016 for a grant to obtain a professional survey of the property’s borders. The NW CT Community Foundation in 2018 (Elson-Slemmer Fund) for providing a grant for bridge-building materials. The Wilderness School in 2018 for hauling bridge-building materials to stream crossing sites. Eagle Scout candidate, Michael Collen in 2018 for completing a long footbridge.